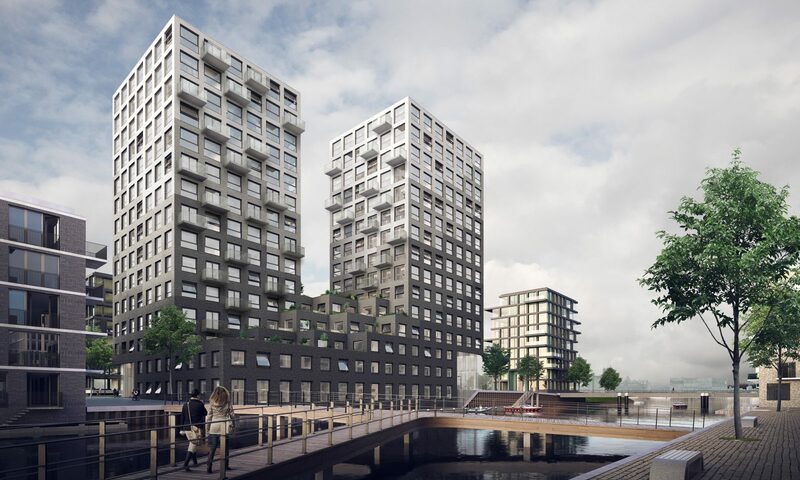 For this landmark building located between the IJ and Tolhuiskanaal, we designed two slim towers that merge underneath into a terraced podium, instead of one huge, solid volume. 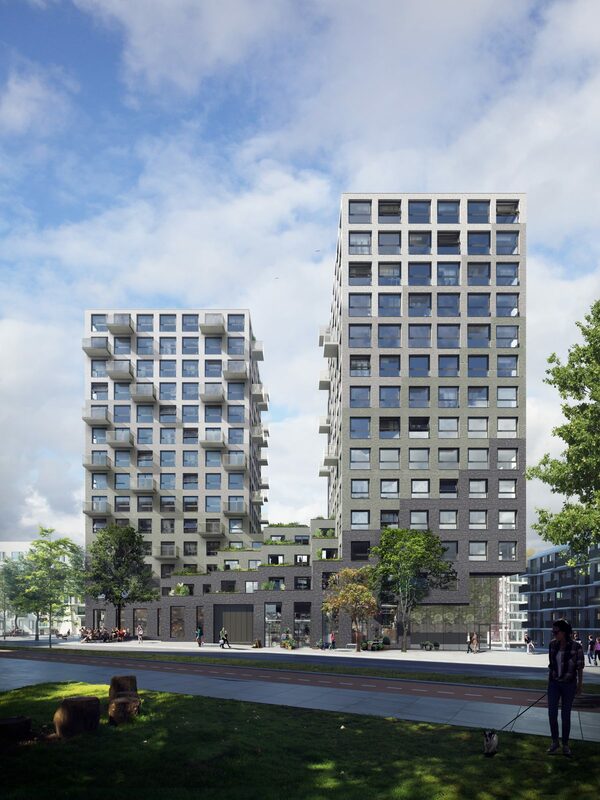 Buiksloterham in Amsterdam North is currently being developed into a sustainable neighbourhood for living and working. 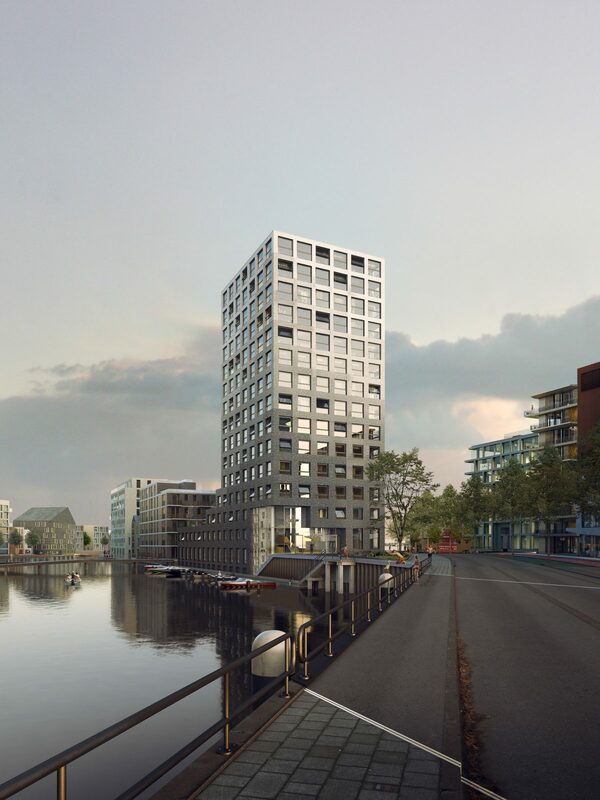 At the southernmost part, Kop Grasweg will soon host about 350 private and rental apartments and 3.800 m2 of commercial space. The plan of Kop Grasweg connects with Cityplot Buiksloterham on the other side of the Tolhuiskanaal. The structure, diversity and small-scale architecture that characterise Cityplot Buiksloterham will be extended towards the IJ. 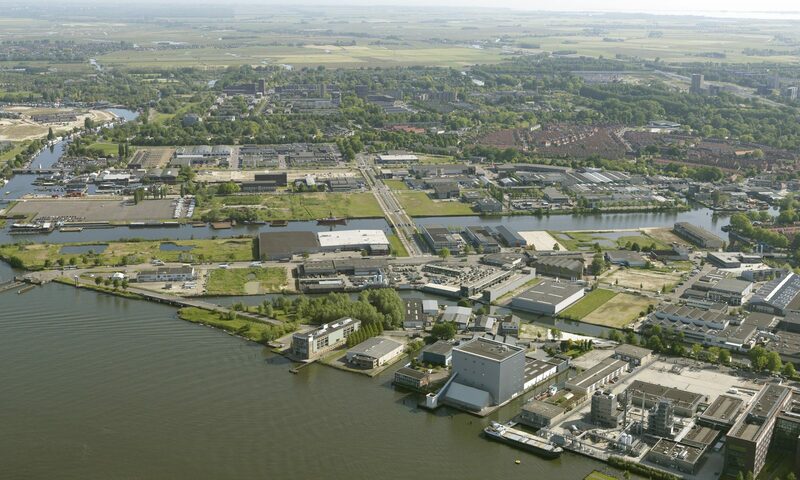 Kop Grasweg comprises of three characteristic parts: a section that will be developed according to the Cityplot concept, the IJ waterfront, and the multi-storey building at Tolhuiskanaal. This largest and highest structure will function as a prominent landmark for the area. 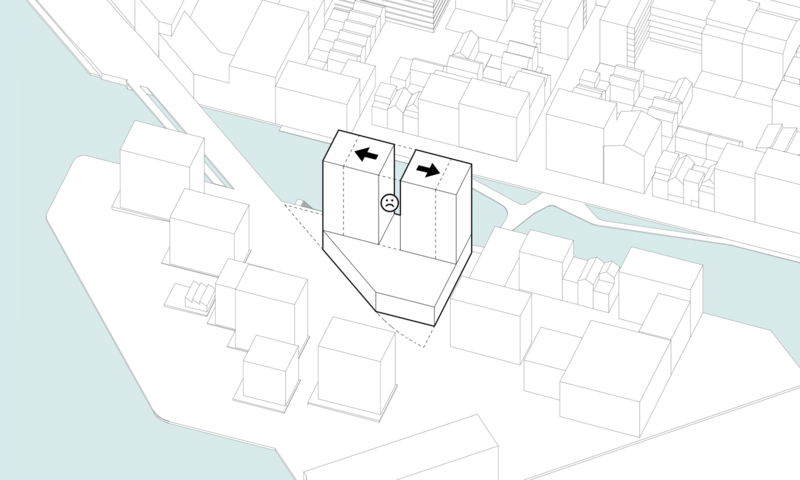 Two slim towers that merge underneath into a terraced podium. 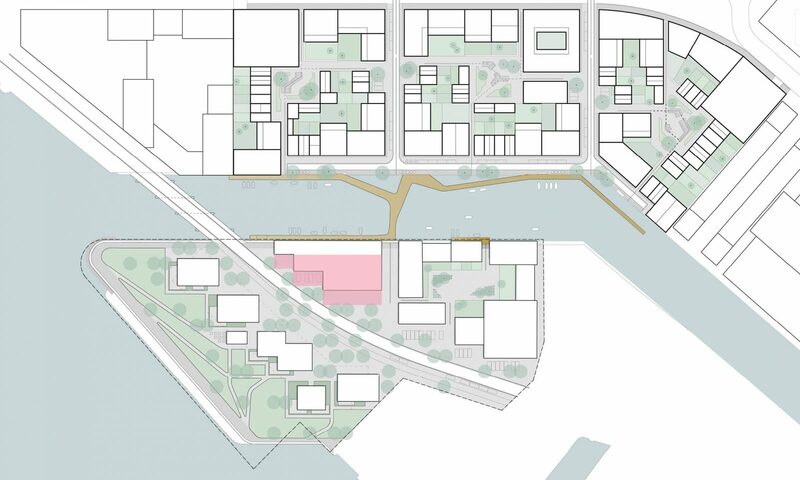 We set ourselves the challenge to design an apartment building that has no distinct front or back facade, that appears different from every perspective and that connects to the surrounding neighbourhoods. So, instead of creating one huge, solid volume, we designed two slim towers. All apartments in the podium feature spacious roof gardens with a sunny orientation or facing the Tolhuiskanaal. 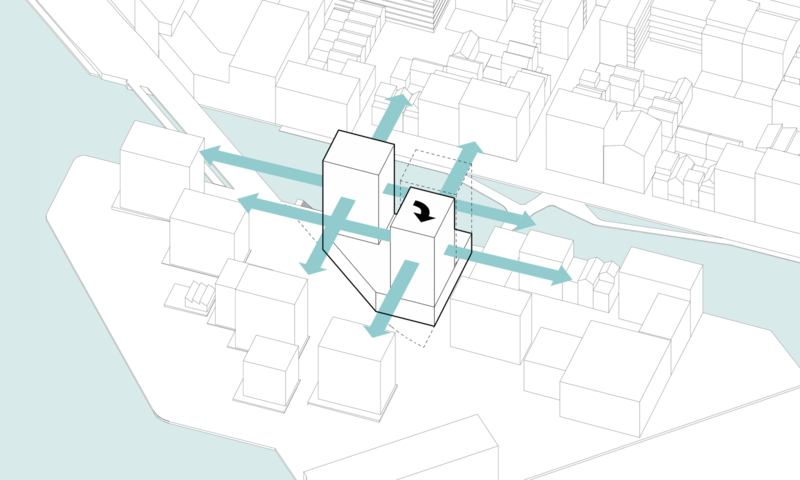 Dividing the volume into two vertical accents connects better to the Kop Grasweg masterplan. 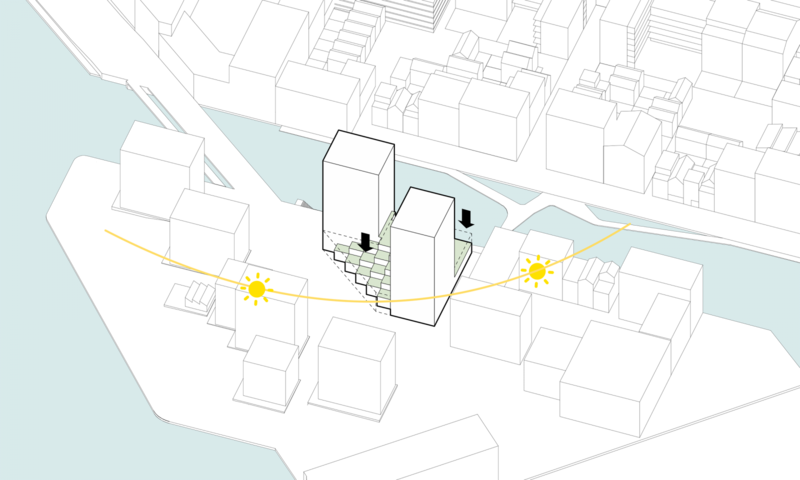 In ‘Ulrich Rückriem’-style the two adjacent towers are placed in such a way that they don’t block each other’s views. This way we ensure maximum views from all apartments. The balconies of the podium apartments create a friendly transition from the low scale of the surrounding buildings to the two towers. 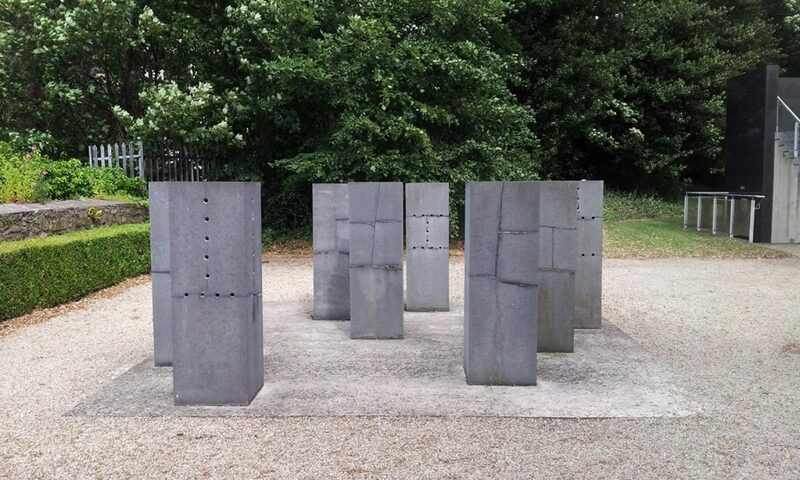 The German Ulrich Rückriem is known for his monumental yet minimalistic stone sculptures, such as this carefully constructed work ‘Limestone’ (1988, Dublin). Demolition waste - is this one also available in white, please? 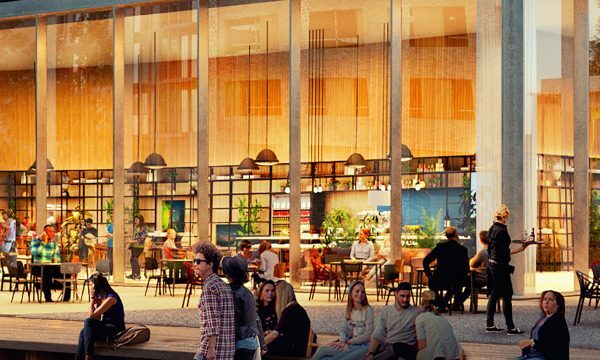 City Icon forms an integral part of Cityplot Buiklsoterham and therefore shares its’ ambitions based on flexibility, circularity and social sustainability. The goal of circularity is here expressed by a façade created out of 320 tons of waste. 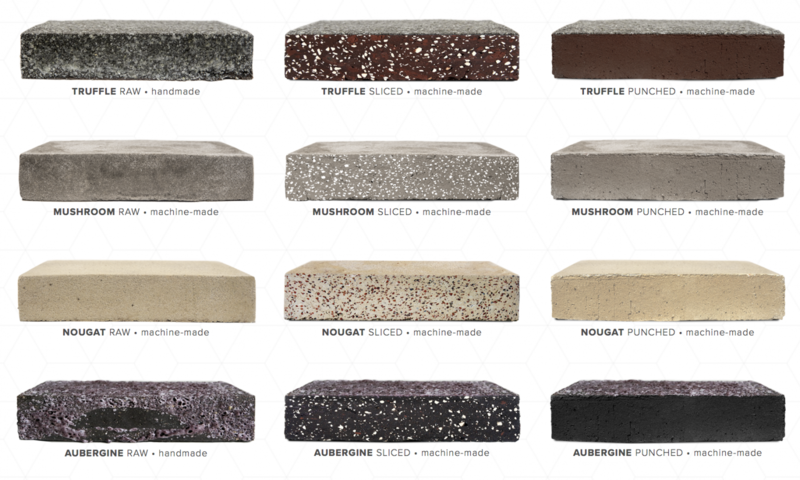 Together with StoneCycling, we developed a new series of so-called WasteBasedBricks which upcycled selected construction waste into high quality bricks. We set ourselves an extra challenge to create a facade effect that gradually transitioned from black to white. This meant we had to search for pure white construction waste as well as pure black, and various shades of grey to blend the two. 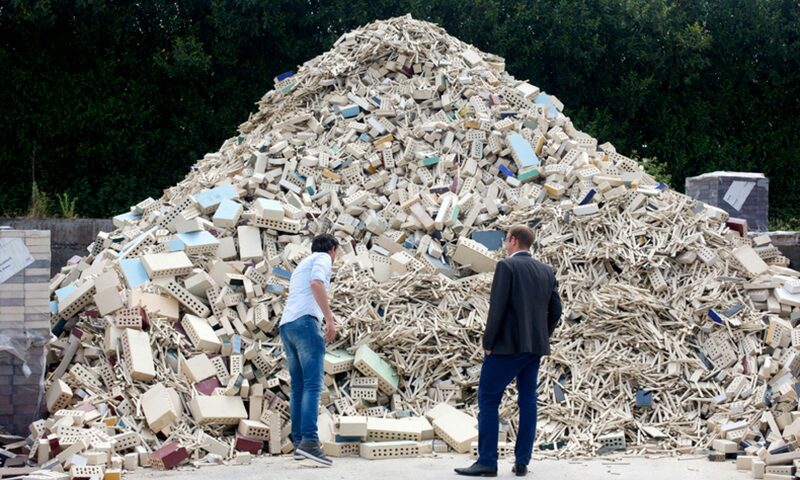 Find out all about StoneCycling here. Our mascot, our smallest WeSpace. 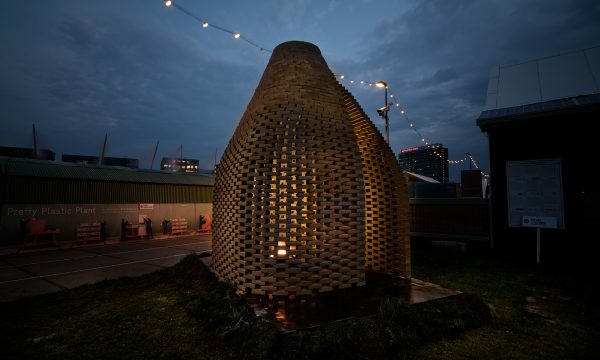 This handcrafted pavilion kickstarted conversations around a cosy campfire. 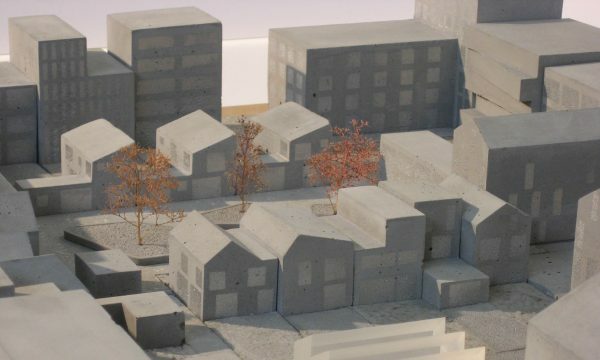 Compact, intensively mixed-use and small-scale, the Cityplot urban planning strategy views to a future based on adaptability, participation and circularity. Envisioned as a symbol of circularity in Buiksloterham, Yotel’s integrated design considers all scales of the project from the landscape to the finest details.